Riding with the Cincinnati Railway Company in their private cars is always a most enjoyable experience. Meals are special events with creatively prepared dishes served by a caring and attentive staff. Back in time on a 1930s Train.. 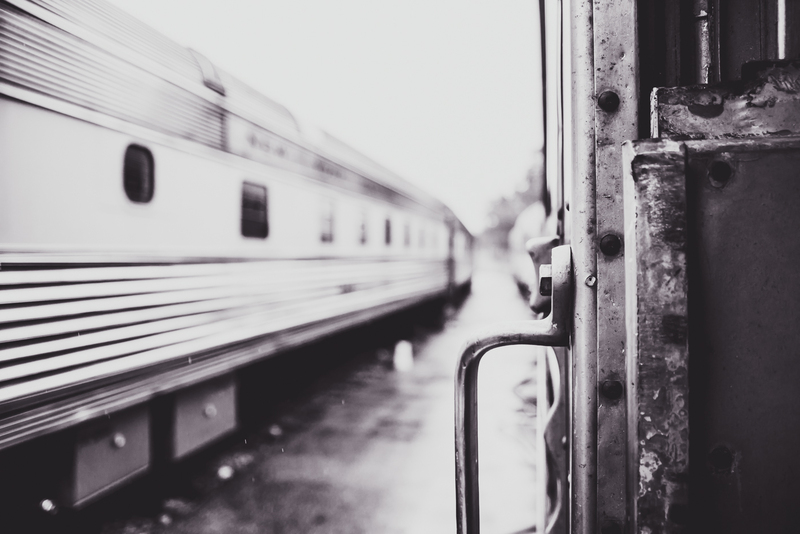 IN GENERAL, HOW DOES PRIVATE RAILROADING WORK? Privately owned rail cars from the thirties, forties and fifties can be restored and modified so as to meet or exceed Amtrak standards. After a large financial investment to do this, owners can then solicit Amtrak to hook their cars to the back of regularly scheduled Amtrak routes. Due to the heavy cost of restoration and compliance, only around one hundred and fifty or so private rail cars are currently Amtrak compliant. Only a handful of those actually charter to the public. The Cincinnati Railway Company has two of them. CAN I CHARTER THE CARS TO GO ANYWHERE THERE ARE RAILROAD TRACKS? In short, no. We are only able to go where Amtrak goes. Even then, we are restricted to end of point routes or locations that have both switching capabilities and adequate dwell times. Our cars are based in Chicago because that is a hub for Amtrak. We are able to hook to numerous trains departing Chicago. 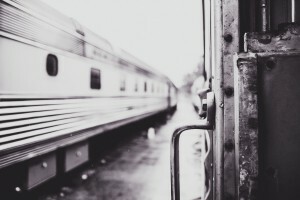 We must stay behind the that train until it reaches its destination. For example if we hook to “The city of New Orleans” we must stay behind Amtrak all the way to New Orleans where it terminates, we are unable to be cut off at a city prior to New Orleans. There are a few exceptions to this rule due to adequate dwell times at certain intermediate stations. WHY ARE CHARTER TICKETS SO MUCH MORE EXPENSIVE THAN REGULAR AMTRAK TICKETS? We are not competing with Amtrak. Our cars are nothing like those featured on Amtrak. We operate a fully restored luxury dome car and a heritage fleet sleeper. We serve gourmet style food and drink and offer entertainment. Amtrak reluctantly allows us to hook behind their trains. They view us as competition and therefore reflect that in the fees they charge us. Finally, the cost to maintain and store these cars at Amtrak facilities and to Amtrak specifications is astronomical. Private railroading is not cheap. HOW MANY PEOPLE CAN CHARTER A CAR OR CARS? The “Moonlight Dome” can be chartered for a maximum of six people. Bedrooms A,B and C each sleep two people in twin lower berths, each bedroom has a toilet and sink. Bedroom D is a crew bedroom under the dome. The car also features a public restroom with shower. The lower lounge can seat nine people and has a stereo and flat screen TV with DVD. The dome area seats twenty four people at six, four top booths. The “Birch Grove” sleeps twenty one people in nine single roomettes and six double bedrooms with upper and lower single beds. Each double bedroom has a toilet and sink. The roomettes all have sinks with three of them having toilets. There is a public toilet at the end of the hall for the roomette people with no in room toilet. A shower room is also available at the end of the hall. 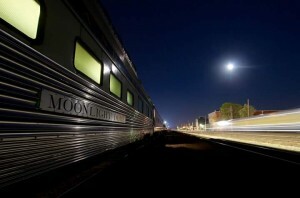 As a result, six can charter the Moonlight Dome or Twenty Four can charter both cars together for the best value. Birch Grove cannot be chartered alone due to no lounge of galley facilities. DO I HAVE TO GET A HOTEL ROOM ONCE WE ARRIVE AT A DESTINATION? In most cases no. The parking spot at the station will allow you to come and go so you can simply stay in your assigned room. Some passengers opt to get a hotel room just for a change of pace or for the extra space. A few of our destinations do not allow occupied parking so a hotel is therefore necessary. HOW DO MEALS WORK ON BOARD? Our professional chef prepares all meals in route and they are served in the dome at specific times. Usually the menu is announced ahead of time. If it is a private charter we organize and then sell by the bed, the chef chooses the menu. If it is a private charter where a person leases one or both of the cars for his or her family or friends, then they work with the chef to design the menu. Breakfasts’ are usually over a two hour period to allow for early or late risers. The chef is able to accommodate vegan and other food restrictions. HOW IS ALCOHOLIC BEVERAGES HANDLED ON BOARD? Wine is usually served with dinner and the chef usually has a designated happy hour during the evening. Beer and assorted liquors are provided with each charter. If specific, high end brands are necessary, the passenger is allowed to purchase and bring it on board for his or her use. Alcoholic beverages are strictly prohibited outside the cars or in the vestibule. The chef/car attendant will host an in depth safety meeting prior to departing. This meeting is mandatory. 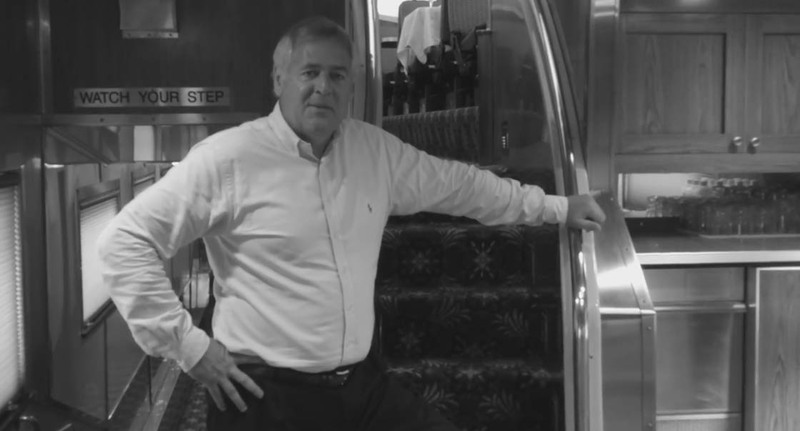 He will outline the rules all passengers must follow while on Amtrak property. He will also go over certain housekeeping rules for the cars. DO I NEED TO PACK LIGHT? Yes! The bedrooms on rail cars are small. We can’t emphasize this enough. The Moonlight Dome bedrooms are the largest in the industry but the Birch Grove bedrooms are typical fifties sleeper car size. Use soft sided luggage and pack light. There is a small amount of storage in small closets and on top of the toilet room and under the lower berth. The double bedrooms in Birch Grove dictate that one person gets dressed at a time. With both beds down, there simply is room for only one person to stand and get dressed. DO WE NEED TO CONSERVE ON WATER FOR SHOWERS? Absolutely. Each car has a finite amount of water. If someone decides to take a long hot shower, the car will run out of water. We get water replenished at certain stops along the route. It is best to insure we don’t run out by taking short, military style showers. DO WE HAVE WIFI SERVICE ON BOARD? Our WIFI service provider is Verizon Wireless. Passengers can access the internet through our hot spot at no additional cost to them. All we ask is that you limit your use of the free WIFI to checking your emails and/or browsing the internet. It is not intended for or able to download/streaming of large data files. Certain travel locations may not be available within Verizon’s coverage area.